Russian Internet giant Mail.Ru is taking aim at Opera, Google and other top browser makers after it launched Amigo, a socially-integrated Web browser aimed at increasing its share of the domestic Internet market. News of the ‘social’ browser, which is initially available to would-be testers in alpha mode, comes just six weeks after the company revamped its ‘Internet’ browser, adding new safe-browsing technology. With its range of browsers, Mail.Ru is aiming to solidify its position in Russia’s growing market, where 50 percent of the population (57.8 million people) go online every month. Unlike the rather unimaginatively named ‘Internet’, Amigo takes a line straight out of Norwegian firm Opera’s book to include an optional display panel that lets users hook the browser up to all manner of social networks, both domestic and international. As well as Facebook (Mail.Ru is an investor), popular Russian sites like Odnoklassniki, VKontakte and Moi Mir are supported, while — as you’d expect — the browser integrates with Mail.Ru inboxes – dishing out alerts when new emails arrive. Once social networks are integrated, Amigo users can follow activity and messages from friends, listen to music and post to social networks themselves, directly from the browser. Updates ping into the sidebar and there’s a single-click switch feature to navigate between the integrated services. “The integration of online services and social networks is one of today’s major trends,” says Vladimir Gabrielyan, CTO and vice president of Mail.Ru Group. Pointing to comScore data — which claims 50 million Runet users visit social networks each month — Gabrielyan explains that the move is about making things easier, and we presume also increasing its browser usage numbers and visibility among Russia’s Internet populace. “We have gone a step further and embedded social networks access directly into the browser. 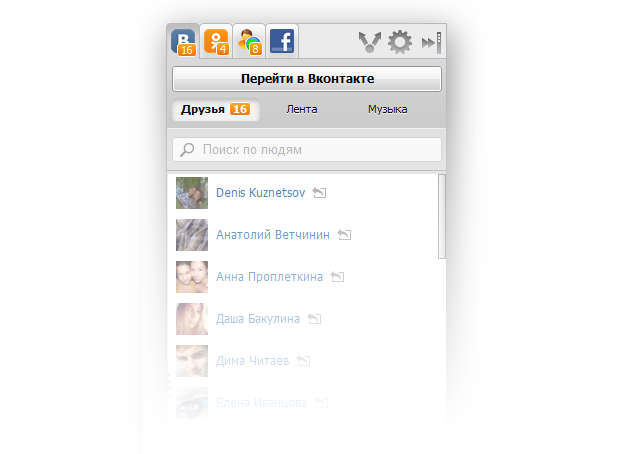 At Mail.Ru Group, our goal is always to make communication as convenient for users as possible”, he concludes. Google Chrome became the Web’s most used browser, according to Statcounter data, in May, while Opera’s range of products, which cover PC, mobile and smart devices, top 275 million users. Of that, an impressive 200 million active users are on mobile devices, thanks to 50 percent growth between 2011 and 2012. It’s unclear just how strong either firm is in Russia, however. Mail.Ru (again citing comScore stats) says its sites reach 81.8 per cent of Russian Internet users on a monthly basis. It further says that the research firm’s data ranks it as the world’s sixth largest Internet business, based on total time spent online. Mail.Ru holds strategic minority equity stakes in VKontakte (39.99 percent – Russia’s answer to Facebook) and Qiwi (21.35 pecent), formerly OE Investments. The company also holds small single-digit shares in international companies such as Facebook, Zynga and Groupon. Earlier this year, we reported that Mail.ru’s first quarter revenue had spiked at 45 percent year over year to $160.3 million, having previously reported $208m in profits – on $515m in revenues – in 2011. You can sign up to register for the Amigo alpha by visiting amigo.mail.ru.